A bold, creamy, full-bodied flavour! 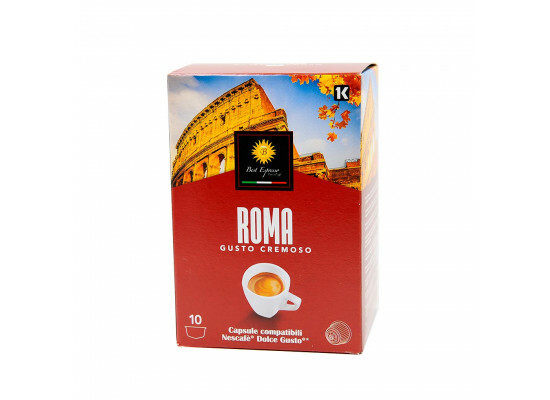 Perfect for making a cafe latte, flat white or cappuccino; the Roma blend is perfect for those who love coffee. A pleasant coffee with a great brown crema and intense aroma. The best Italian Espresso capsules come in a 16-capsules sealed pouch and are patented and certified to be compatible with the following Dolce Gusto® machines (Circolo™, Creativa, Fontana, Jovia, Genio™, Esperta™, Melody, Mini me™, Oblo, Piccolo). 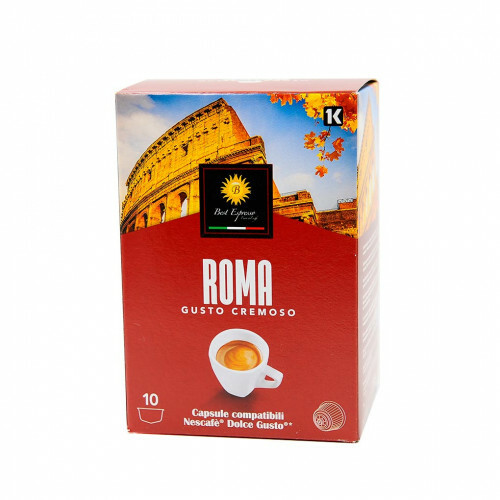 These capsules contain only compacted ground coffee and are best served as 35ml Espresso or with milk. Do not over-extract - The Authentic Italian Espresso. Did you know all your favorite coffee drinks start with an espresso? Packs of 10 capsules. A full box contains 8 packages of 10 capsules. LOW STOCK - DON 'T MISS OUT!